When Chromecast got first released, it came out with limited support, basically only for the bigger and more significant apps. Although Google promised a SDK, in the meantime other apps such as Plex slowly started receiving support for the device as well. Today things go even better as Google officially opened doors to all developers thanks to the release of the Chromecast SDK. Now developers can finally update their apps and add the Chromecast support for their streaming and that’s not all. According to the Google Chrome Blog, users will also soon be able to use additional options in terms of content-streaming. For the end user, this means only one thing- start keeping an eye on your favourite apps in the Google Play Store, because there should be a Chromecast button very soon. In the meantime, the Google team provided everyone with a whole list of apps that are currently supported for Chromecast , that you can find HERE. Of course, those are still the 14 apps you already know of having Chromecast support, but there’s more to come very soon. 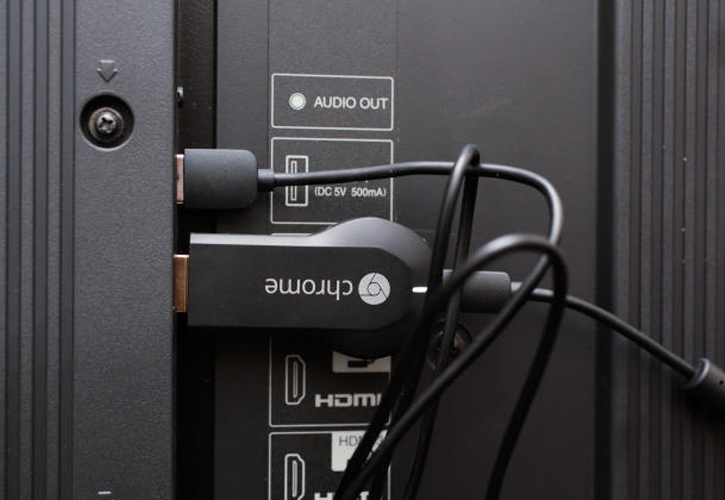 Along with that Google also made the Chromecast extension available for the Chrome browser. We want to make it easier for that content to get to your TV, so today we’re releasing the Google Cast Software Development Kit (SDK) for developers who want to build Chromecast support into their apps and websites. For the rest of us, that means even more of our favorite movies, TV shows and music will become available on Chromecast as developers work with the SDK. Just be on the lookout for the cast button in your favorite apps and websites across Android, iOS and Chrome. As for the developers, Google also shares some further details when it comes to type of content to be streamed and offers sample applications. Furthermore, the SDK is simple enough to integrate and there’s absolutely no need for the developers to rewrite their apps.